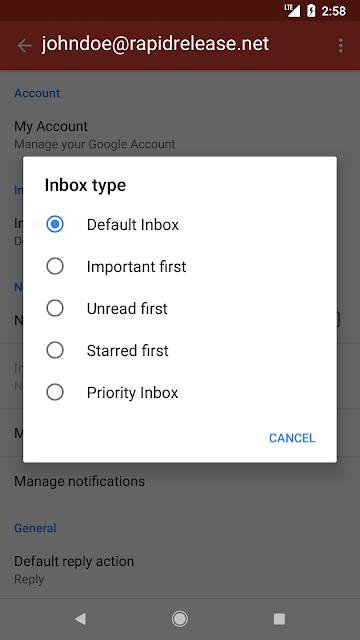 For Example: If you’ve chosen to see unread emails at the top of your inbox and everything else below, you’ll see your emails sorted the same way in Gmail for Android. 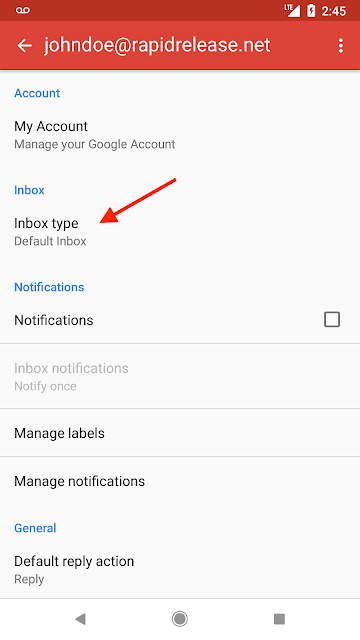 You’ll also be able to change your inbox type directly from the Gmail app on your Android phone (under Settings > choose account > Inbox type). This inbox type will then be reflected across web and iOS as well.